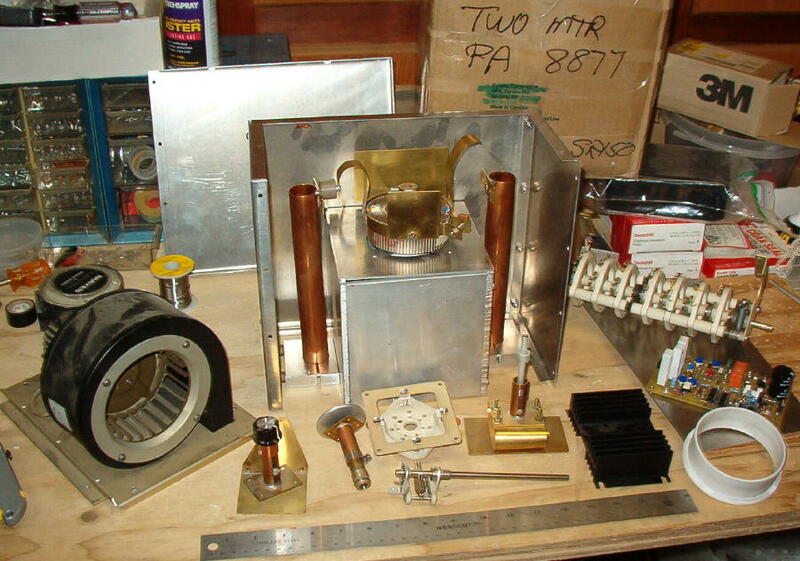 This page describes the construction of a 1500-watt 2m amplifier using an 8877. The design follows the classic W6PO design which is described in the Eimac Notes. Technical Characteristics: Ouput Power 2KW, Power Gain 13dB, Anode Voltage 4500V, Anode Current 1A, Grid Voltage 42V, Grid Current 300mA, Drive 100W, Harmonic attenuation > 55 dB. 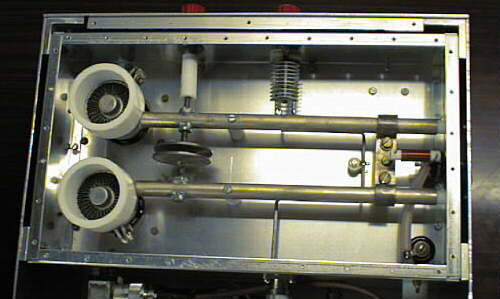 A presentation of this amplifier and the 70cm twin was hold on the 1998 Weinheim meeting. 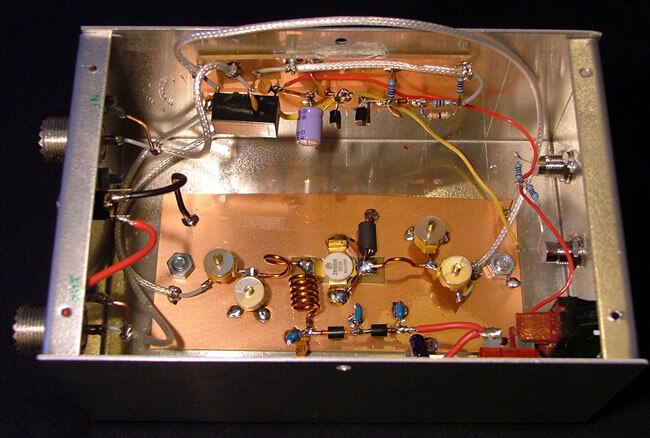 This amplifier is built in home-made aluminum compartment which must be electrically tight in order to avoid RF radiation. 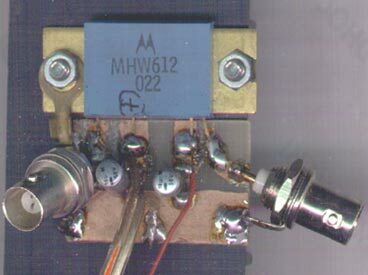 The MHW 612 by Motorola, is a VHF Broadband power module amplifier for commercial mobile transmitters giving a maximum Output Power of about 20 Watts (50 Ohm). 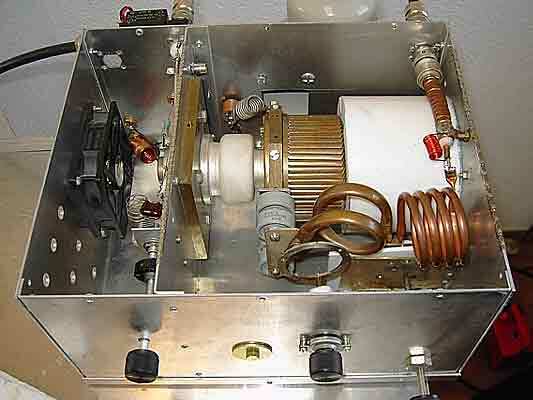 I have constructed a Homemade VHF Transverter from 28 MHZ to 144 MHZ, but the output Power its only 0,5 Watts, too low for this band, though a QRP-er. My good old FT-290 2m SSB and FM radio, had about 1uV sensitivity before installing this amp.Now it is 150nV just like the best radios I have tested. Stations I could hear with noise, are now loud and clear !! It uses a 2N6084 RF transistor, and will produce 50w output max. 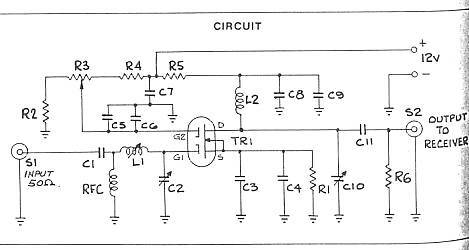 It is a class C amplifier design, and therefore good for FM mode only. É ormai da tempo che nelle varie fiere del Radioamatore si trovano alcune parti di vecchi apparati telefonici veicolari Italtel, operanti nella banda VHF, che opportunamente smontati permettono di recuperare un amplificatore ibrido di potenza e tanta altra componentistica utile. Put 20 mW into this little amplifier and get a 26-dB increase in transmitted power! Although the amplifier was designed initially for use with the DSP-10 transceiver, any 20-mW-output 2-meter exciter can enjoy the boost! 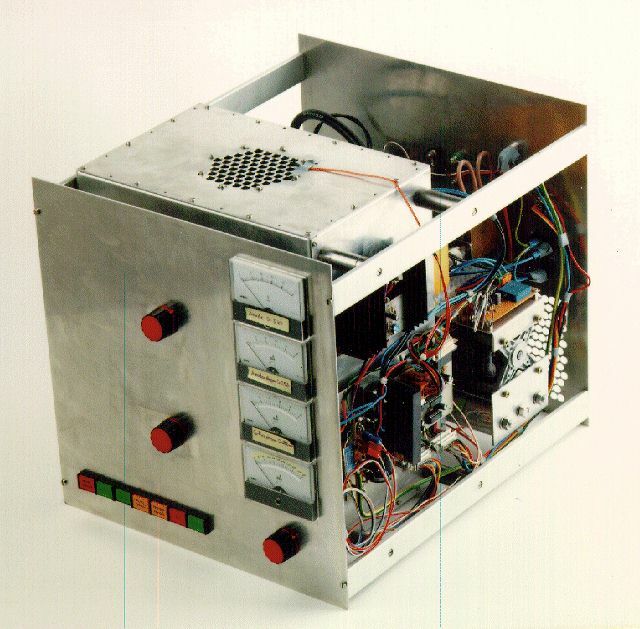 This page provides information on the design and practical implementation of a rather inexpensive 144 MHz high power amplifier using a pair of ceramic tetrodes, type 4CX250B, in a push-pull configuration. I have used it mainly for MS and EME operation for many years. These circuits are my "standard" building blocks that can be used to amplify RF power signals, from 50MHz to 170MHz, just a few component changes are required. Cavité 144 refroidissement par convection de la GI7B On aperçoit le link en bérylium. Le 4ème côté de la cavité est en fait le radiateur. Un Ampli 144 avec une GS31 (plus de 1500W). There is no doubt that the Philips BF981 dual gate mosFET is an excellent choice for two metre preamps. On a performance for dollar basis it was probably the best device (as of 1985) available. 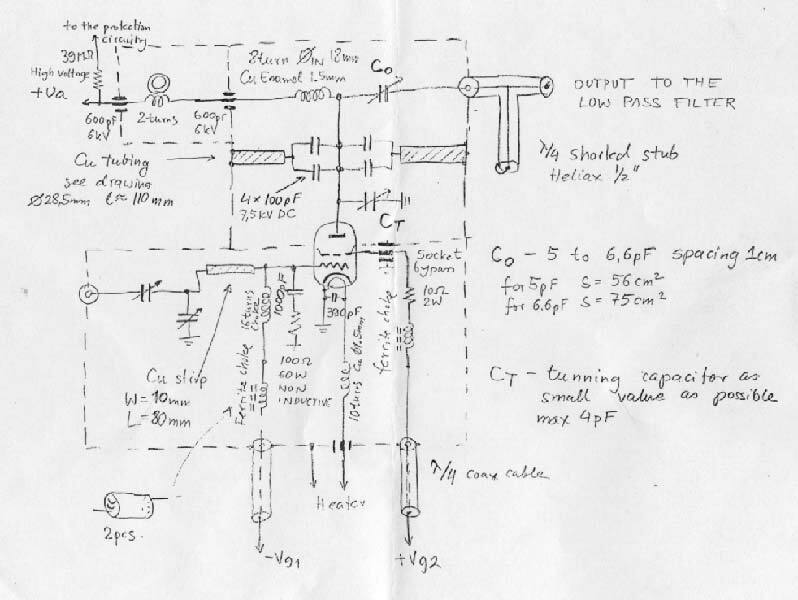 There is not a personal design on this page, just I've transfered useful notes from PHILIPS RF Bipolar Transistors - Data HandBook (1993 Edition), about BLY89C VHF Power transistor, which is very popular among Amateur Radio "homebrewers".